Locatie: Tucson Creative Dance Center, 3131 N Cherry Ave.
How do we track the direction and trajectory of our soul? With dedicated inquiry, might we begin to understand our place within the divine mystery? Though the nature of these questions are elusive, we can start to connect the threads of our existence past, present and future to find clues along our life’s journey as points of reference and guidance that we can return to again and again. This is the exploration and content of Soul Maps. Using rhythm and the body as a guide, the conscious mind rests and we enter a liminal space of self-discovery. 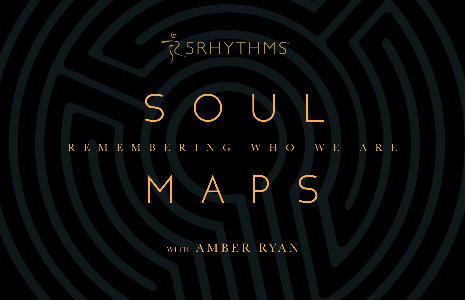 Utilizing the map of the 5Rhythms, we can better attune to our own internal compass. This can bring about a greater understanding of our own unique soul’s path and our place within the vastness surrounding. Allowing the soul to guide, we step out of our conditioned personalities and expand beyond form. In this place, we can safely garner new lessons, new information, new insights into what is true in the deepest sense. Like hidden treasures, these insights are gold, just waiting to be discovered. Once integrated into the body, profound changes and shifts can occur--tools of transformation become available on and off the dance floor. By grounding the soul in the body, we give the space to access these more esoteric parts. Within that awareness, we begin to familiarize ourselves with more of who we truly are and how we might share our unique, soul’s essence with the world. Join us in Tucson for this deep, fun and soul-filled journey into the mapping of your unique soul.